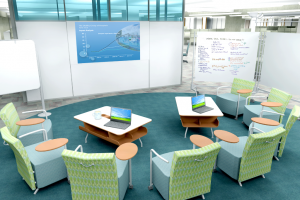 Collaboration spaces are here to stay. Shared desks and open workspaces that promote employee creativity by giving them spaces to brainstorm as a group and making working as a team easier are proving to be more and more successful. As an AV Integrator, we can present companies with several options for collaboration technology that will not only enhance their space but give their team the most effective tools for sharing ideas and creating visions. We consider a lot of things when assisting a client in creating the perfect collaboration space for their employees. These spaces – when developed correctly – foster friendships and camaraderie within the workplace and improve productivity as employees work together to reach common objectives. One of the best things about the collaboration of employees is that they all bring different ideas to the table. We know from our own company that having fresh ideas has great advantages when it comes to problem solving. However, these personalities often need different things from a collaboration space in order for them to do their best work. There are a lot of different types of personalities in an office environment and the type of space they need isn’t always the same. Introverts need the option to have their own space for down time and will need to access group documents and plans in their own independent workspace. Extroverts can live with no walls and thrive where they can be in the hub of work life. That means that creating a network that allows both introverts and extroverts to do their thing is ideal in every office environment. Here are some of the things to consider as you strive to create their perfect mix of open and private spaces. The most important thing you will be doing to create the ideal work environment for your employees is setting them up with the most up-to-date technology for their collaboration spaces where everyone can thrive. Creating a space where the technology isn’t intrusive – but perfect for their needs – is a great place to start. Consider an area with camp-fire like seating and digital whiteboards. With a whiteboard available, everyone would be able to share information through their own devices which is key to collaboration. Having that type of technology available in a comfortable setting allows for the sharing of ideas that will ultimately benefit the entire company in a relaxed environment that promotes creativity. It’s a win-win situation. The number of remote workers has increased over the last several years. Many organizations have team members that live out of area or even out of the country. Because there are often members of the team that won’t be in the physical space, conference rooms need to have the capability to include telecommuters in the conversation. There are several video conferencing options available as a way to include these employees. Having the perfect setup for all devices to be able to see everything at the same time, is also key. Collaboration technology ensures that everyone is on the same page no matter where they are in the world which should be a very attractive option for companies with remote workers. When the intent of an office space is to foster collaboration, that space must optimize teamwork, especially in today’s environment of the office with no walls. Telecommuting is the new collaboration space because the office essentially has no walls. Collaborative technology works well in this type of environment, and it can be seamless if all the pieces are in the right place. Not everyone is comfortable sharing their ideas with large groups of people. For a space that is set apart and affords some privacy, there are huddle rooms. These smaller rooms can be fitted with a digital display and can allow about five people to meet and collaborate in a more intimate setting. Connectivity, printer hookup, and plenty of outlets will allow for this to be a comfortable room for mini meetings. There’s no doubt that a lot of companies are looking for new ways to increase employee productivity and creativity. Collaboration spaces are key in order for this kind of teamwork and idea sharing to take place. The available technology to assist organizations only adds value to these spaces. To learn more about how collaboration space and technology can help your organization reach its business objectives, contact us today. Want Productive Meetings and Fewer User Issues? Keep It Simple. There’s no shortage of equipment options for huddle spaces and meeting rooms. But what’s the smart investment that will deliver the best user experience and minimize support tickets? 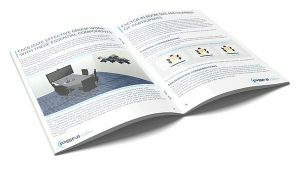 Find the answers in the IT Pro’s Guide to User-Friendly Meeting Rooms, presented by PSNI and Biamp. The multiple benefits digital signage can provide for businesses have been well documented. No doubt you already know that eye-catching displays and the sharing of relevant content directly to consumers are proven to increase sales. But have you ever considered discussing how digital signage can also impact your employees? Do you know all the ways to increase employee engagement using digital signage? Increasing employee engagement is easier than you may think, and the benefits are staggering. Let’s examine exactly how digital signage can impact employee engagement. Even when we aren’t talking about digital signage, efficient and effective communication is the key to increasing employee engagement. Companies already cater their content to consumers—altering that content to appeal to employees as well isn’t that much of a stretch. The use digital signage in the workplace to display performance dashboards, employee bulletin boards, memos, and announcements has the potential to increase employee engagement by over 22 percent. As mentioned before, digital signage creates more eye-catching displays than generic signage and has the capabilities to grab the attention of employees more so than traditional communications. Take memos for example—many employees open a company emailed memo and immediately disregard it as junk mail. If a company is still using an antiquated system that involves paper memos, there’s a strict possibility these memos are getting lost in the shuffle. Using digital communications—digital signage in particular—to display company memos not only ensures employees are engaged with company information, it also allows companies to display the most relevant content available to employees. More efficient communication leads to a more engaged and productive workforce. While many companies have some type of employee recognition program—employee of the month, top salesman, etc.—digital signage allows companies to display real-time progress and results. Adding this element as a gamification aspect to performance is an exciting way to improve employee engagement. Employees respond, become more engaged, and more productive when content is displayed and shared with peers. As new generations enter the workforce, so do new expectations. It has become apparent that younger generations—both consumers and employees—want to feel connected to a brand or company that makes corporate social responsibility (CSR) a priority. With digital signage, companies can display and promote CSR initiatives. In turn, this will like improve employee pride and increase employee engagement. Digital signage has already proven its worth for companies looking to increase consumer engagement. However, improving customer experiences isn’t the only thing digital signage can do. Many companies have started to use digital signage in the workplace to increase employee productivity. Digital memos, dashboards, bulletin boards, employee recognition tracking, and CSR displays are all being used to improve employee engagement. Digital signage can display and convey a variety of relevant information to employees in real-time. For companies that want to improve employee engagement and create a desirable workplace, digital signage has seemingly endless possibilities. Sharing these benefits lead to happy employees on their end and, in turn, increase productivity and profitability. It’s certainly a win/win situation. People tend to notice AV when it is broken. We tend to prevent AV issues from occurring in the first place! 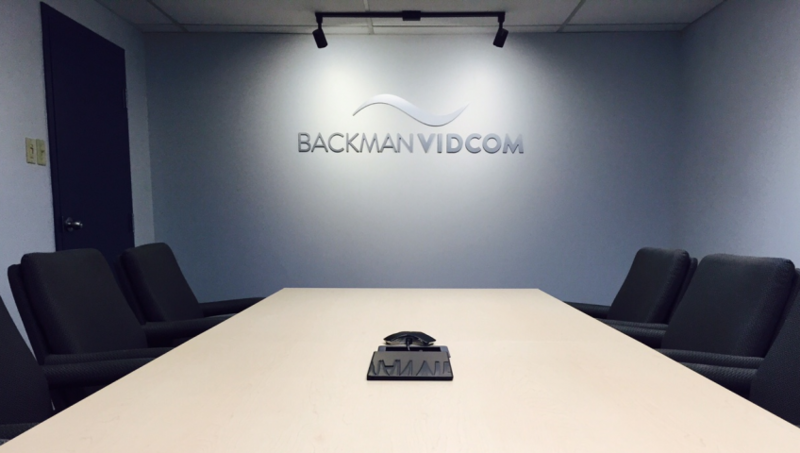 HALIFAX, NS (September 1, 2017) — Backman Vidcom announced today that they have accepted an invitation to become a member of PSNI Global Alliance. PSNI Global Alliance is a global network of independent audiovisual technology integrators and service providers. Formed in 1986, PSNI brings together selected best-in-class integrators (affiliates) who contribute and share access to forward-thinking ideas, education, resources, collaboration and support across the globe to establish client-centered solutions and industry best practices. PSNI affiliates design and implement audiovisual and technology solutions for government, education, corporations, healthcare, houses of worship, broadcast, entertainment, digital signage, hospitality, legal and museum customers. Regardless of the geographic location of the client, PSNI affiliates can work independently or collectively through the network to deliver an exceptional customer experience. Each PSNI member is carefully selected and peer-reviewed annually to ensure commitment to the organization’s values and beliefs which centers around the network’s common purpose to ensure the highest standards, best practices and integrity of the industry are delivered. Professional Systems Network International (PSNI) is an alliance of elite technology integrators, manufacturers, distributors and service providers across the globe. At PSNI, we not only unite industry leaders, our network supercharges them by extending their reach, complementing their strengths, and multiplying their resources, all combined with a commitment to the highest industry standards. For organizations seeking AV solutions, PSNI affiliation is the ultimate industry credential. More than that, it’s a promise that you’ll receive the smartest solutions, the smoothest installations, and the best training, service and support. For more information, visit www.psni.org. ORLANDO, FL and HALIFAX, NS (June 14, 2017) — Backman Vidcom announced today that the company has been honoured with a 2017 Commercial Integrator (CI) Integration Award for their recent project work at the new Discovery Centre on the Halifax waterfront. The CI Integration Awards recognize and showcase the most outstanding technology integration projects in North America and Europe over the past year in a variety categories. The winners are chosen by a panel of industry experts, integrators and the editors of Commercial Integrator. 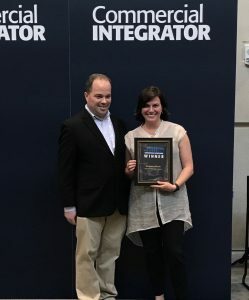 The 2017 Integration Awards presented by Commercial Integrator recognize top organizations who successfully address client needs with innovative and noteworthy installations. Commercial Integrator awarded multiple technology partners in different categories for outstanding solutions. Backman Vidcom’s recognition was in the museum category. Judges review a solution’s “wow” factor and whether the project exceeded client expectations. In February 2017, the Discovery Centre opened its doors to a new 40,000 square-foot, state-of-the-art science museum on the Halifax waterfront, within an existing historic building that served as a former electrical power station. Highlighted by four marquee galleries – Health, Flight, Energy and Creative Kids – and unique spaces including an Atrium, Travelling Exhibits Gallery, Innovation Lab and Immersive Dome Theatre, the AV technology at the Centre represents a significant aspect of the museum experience. Backman Vidcom’s scope of work included the AV supply, installation, and integration with creative treatments and scripts for interactive multimedia across all exhibits, including interactive touchscreens, video, RFID and other AV media productions. The firm worked closely with exhibits fabricator, Kubik (Toronto), digital media contractor, NGX-Interactive (Vancouver), and the architect responsible for overall museum build, Aldrich-Pears (Vancouver) to ensure the technical functionality of the exhibits and galleries were produced to the highest standard. Award winners were announced today at a ceremony at InfoComm 2017, in Orlando, Florida. InfoComm is the AV industry’s annual global trade show and convention. As a category winner, the company and project will be featured in the July issue of Commercial Integrator magazine and on www.commercialintegrator.com. 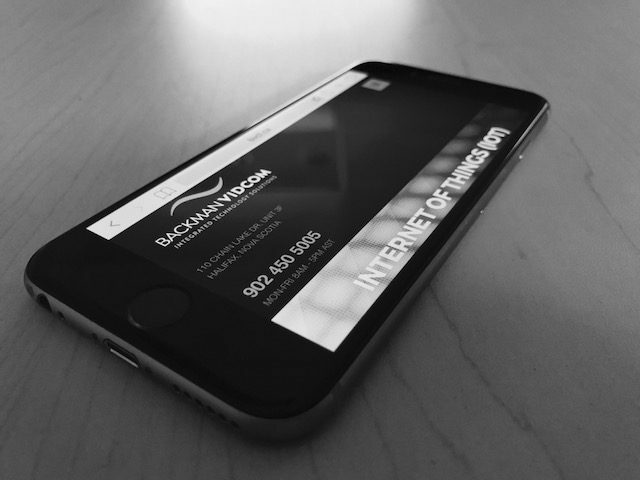 Backman Vidcom, a locally owned Nova Scotia company founded in 1976, is the established market leader for commercial audiovisual design and integration services in Atlantic Canada. Our diverse team of professionals carry the highest industry credentials and work diligently to help our clients connect, communicate and collaborate. We optimize technology for our customers so they can achieve greater business results and believe a customer’s experience with technology is more important than the technology itself. 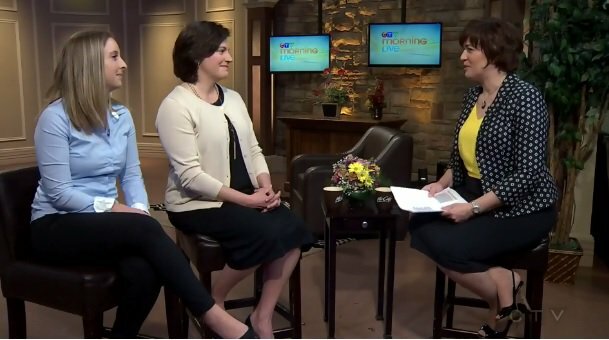 For more information, visit www.bvcl.ca. Commercial Integrator (CI) is the first publication dedicated to address the business needs of professional integrators who serve the small and midsize business (SMB) market. Beyond products and installations, Commercial Integrator tackles operational topics like job-estimating, project-bidding and big-picture market forecasting and more. For more information, visit www.commercialintegrator.com. President Laurie MacKeigan discusses diversity in the AV, digital, & technology industry. The internet of things (IoT) is a term we have given to the connectivity and integration of physical items into our computer-based world that helps us perform tasks in better, more efficient ways. We’ve heard about driverless cars optimizing fuel efficiency, aerial drones delivering couriered packages, and our enhanced ability to monitor our home’s heating, lighting, and security settings on a remote basis – to name a few. Surveillance cameras, thermostats, televisions, refrigerators, and vehicles are simply just “things” that can be affixed with an IP address allowing us the ability to communicate and control using our computers and mobile devices. The resulting benefits are enormous: improved logistics, better efficiencies, economic advantages, etc. According to Foreign Policy magazine, the already massive IoT industry is expected to more than triple in size to nearly 21 billion devices by 2020. That growth stems largely because of society’s ubiquitous use of smart phones and personal devices that have profoundly changed the way we communicate. Regardless of where we are or what we are doing, people are connected at all times. For organizations that subscribe to videoconferencing, BYOD, telecommuting, virtual offices and collaboration, the ability to be connected is an important business tool that allows us to manage our affairs better. If IoT offers significant social benefits, the proliferation of mobile devices will certainly drive its continued development, especially in the workplace. Progressive integrators and manufacturers in the AV industry are catching on to how the IoT is dramatically changing the way solutions are conceived, designed, engineered and delivered. The traditional stand-alone AV boxes that are isolated in a room with localized control buttons are fast becoming a thing of the past. In its place, control software driven by a computer platform that is a component of an IT network is offering a level of interaction, ease of use, and overall management that has been difficult to achieve in years gone by. AV is now part of the IT infrastructure and its technology is communicating and interacting with switches, routers, firewalls, and user interfaces. As cloud-based applications and the IoT phenomenon continue to advance in the mainstream at a lightning pace, we also need to be aware that there are burgeoning security risks and vulnerabilities that lurk on the fringes of our connected world. The stakes can be very high if the systems we use are open to attack by cyber criminals. It’s something that gives IT professionals pause for concern. They have every right to be worried about any security risk that could pose a vulnerability to the network they are expected to manage and protect. Security is vital in all areas of your business, but it is especially important when it comes to business IT. Organizations eager to take advantage of the IoT should not let their excitement cloud their judgment when it comes to security risks. A high definition videoconferencing system needs to be trusted, reliable, and secure enough to share important and sensitive information if outside devices are connecting to it. While not every organization needs dedicated military-grade security solutions that have traditionally kept videoconferences secure, they do need to deploy certain measures so that the right amount of security can allow them to take advantage of the benefits that the open internet allows. If companies want to be ready for the IoT, their IT personnel will need to understand the risks, as well as what they can do to mitigate them. Backman Vidcom has compiled a comprehensive list of best practices and strategies that will give you a place to start. There is a common misconception that the success of a video conferencing call depends primarily on the quality of the video. After all, video is something that you can see. Audio, on the other hand, is invisible. While it might seem counter-intuitive, the truth is the success of your video conference technology actually rests more with the audio quality. Video conferencing suites primarily have two significant elements: video (the display) and audio (speakers and microphones). Most first time video conferencing users often make the mistake of focusing too much on the video portion while failing to give proper consideration to the audio element. We get it – it’s very easy to be charmed and impressed by an 80 inch video display. And while it’s important to give attention to that element of your system, believe it or not, audio is more important. Specifically, understanding the acoustic complexities of the room environment is of critical importance in order to get the overall user experience correct. Practically speaking, if the video component in the room has some flaws (pixelated, grainy, out of focus, under-exposed, etc.) but the audio is clear and free of distractions, the video conference call can still continue and offer a degree of functionality that yield results. In contrast, if the audio quality of the video is just average, participants are more likely to react negatively to the video content as a whole, no matter how good the video appears to be. There are many environmental factors that can influence the desired quality of the audio (microphone distance, background noise, equipment quality, etc.) and all need to be taken into account. We have seen many mistakes – ceiling microphones installed next to the HVAC vent or sound absorption panels that were painted to match the décor of the wall, rendering them useless. Mistakes that are costly, but easily avoidable. Audio communications should be as clear and uninterrupted as possible, otherwise the purpose of video conferencing will be defeated because people will not experience natural communication. Additionally, people tend to give preferential consideration to the latest architectural and interior design trends – elements that likely offer the most visually pleasing but too often come at the expense of sacrificing acoustical elements necessary for today’s workplace collaboration. There are a lot of boardrooms that look pretty, but sadly, are incompatible with today’s technology. Video conferencing rooms should offer reasonable sound absorption and sound insulation. Hard, flat, reflective surfaces like glass and polished wood are elements that can challenge a room’s acoustical quality. To test a room’s sound absorption, clap your hands once. If the clap sound is crisp, clear and distinguishable, then the acoustics of the room are good enough for video conferencing. In contrast, if there’s an echo or if it sounds as though more people are clapping their hands all at once, then there are issues with the auditory quality of the room that need to be addressed. Surprisingly, even the modest of adjustments can greatly improve the sound quality of any room. The introduction of sound absorbing materials such as a wall-to-wall carpet, upholstered furniture, absorption panels on the walls and ceiling, or even fabric curtains in front of windows, can all work to absorb and diffuse sound that can reduce the influence of flutter echo in a room. Ultimately, each room is unique and has its own elements and characteristics. There is no cookie cutter approach. The design of a high quality, well-functioning video conferencing system is a process that requires some critical analysis in advance to overcome any potential impediments that can test the integrity and functionality of a well-intended system. Whether it is adding or eliminating room treatments, using higher quality equipment, or programming the technology for better overall room dynamics, there are several ways a professional integrator can improve a room’s audio functionality and performance without compromising any of the visual design and aesthetics. Companies that want a return on their investment with their video conference technology would be wise to hire a professional technology integrator to guide them.